Just before winter break, students at Pennsylvania State University sat in a control room behind a two-foot-thick concrete wall. On the other side of the wall was a cryogenic rocket. As the rocket fired away, the students measured the temperature and pressure in different parts of the system, including fixtures they’d built for the rocket, all with their own handwritten computer code. They were part of the Lunar Lion team, one of 18 teams still in the running for the Google Lunar XPrize. Lunar Lion is also the only team based at a university and comprised mostly of college students, led by Penn State staff and faculty. (Although at least one other team is a spinoff from a university.) If the Penn State students win, they could earn up to $20 million for their school. They’ll also have to have landed a rover on the moon, driven the rover at least 500 meters, and sent high-definition videos and photos back to Earth. 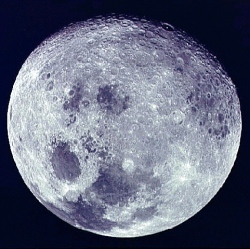 Whichever team wins the grand prize, if any, will be only the fourth "team", after the space agencies of the former Soviet Union, the U.S., and China, to make a soft landing on the moon. "Our goal is really education and research," Michael Paul, Lunar Lion’s director and a space systems engineer at Penn State’s Applied Research Laboratory, tells Popular Science. "What we’re doing, we hope, becomes a model for other universities." Paul means in terms of funding. The Google Lunar XPrize is meant to stimulate the private spaceflight industry, so it requires its contestants be privately funded. The Lunar Lion team gets support from corporate and private donations and tries to work on a lean budget, Paul says. "One of the things that the students are learning is how to be frugal in their engineering." With school back in session, the team is now seeking crowdfunding, too. It wants a little more than $400,000 to build and test a prototype of its design. For example, the team needs to finish testing that its cryogenic rocket engines, a design it licensed from NASA’s Johnson Space Center and will modify to fit its craft’s needs, work with the student-written computer system.